LATIN AMERICAN CUISINE - Here you will be transported directly to Venezuela just by contemplating your plate. 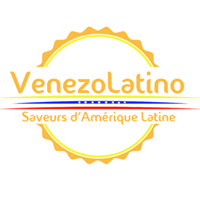 Venezuelan specialties and cocktails await you to expand your range of flavors. THE FRAMEWORK - While you wait for your plate to arrive, look up and contemplate the very exotic decoration of this restaurant full of palm trees, wood and sun!